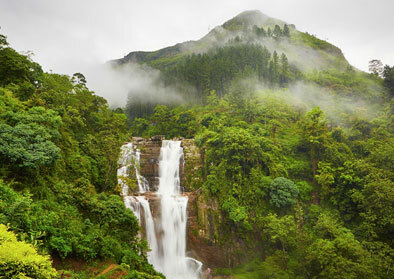 The representative of Leoland Travels will meet arrival at the Bandaranayake International airport, on arrival clients. Thereafter they will be introduced to the local tour guide/ Chauffeur who will be accompanied them around the Island. Transferred to Colombo. City tour in Colombo. Visit Fort, the former British administrative center and military garrison, Sea Street - the Goldsmiths quarters in the heart of Pettah, the Bazaar area, where is also a Hindu Temple with elaborate stone carvings, and the Dutch Church of Wolfendhal dating back to 1749. 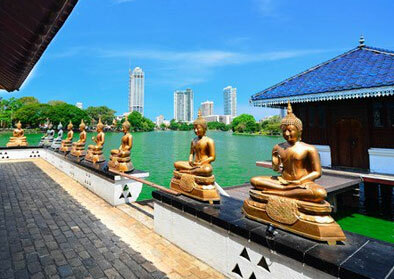 Also visit the BMICH, see the replica of Avukana Buddha and Independence Square. After breakfast leave for Pinnawala. Visit Elephant orphanage. Sigiriya - is home to the 5th Century Fortress in the Sky which is perhaps the most fantastic single wonder of the Island. It is also known as Lion Rock because of the huge lion that used to stand at the entrance to the fortress. Within its triple-moated, defense the huge rock rises almost to a sheer height of 500ft. On its summit are the foundations of what was once a great and sumptuous palace and gardens complete with swimming pool. On one of the stairways, the only known ancient work of Sinhala secular painting survived in the form of Frescoes of life sized damsels in all the freshness and delicacy of their original color. 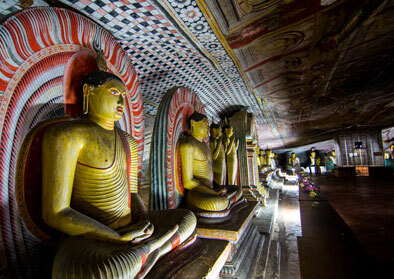 After breakfast leave for Dambulla, Visit cave temple ofDambulla. Which is famous for the five cave Temples on a rock. The first 03 caves are better, older and larger than the other two. Some caves dates to 1st C.B.C. All the 5 cave walls and ceilings are covered with Buddhist murals and there are more than 130 Buddha statues, statues of Gods and Kings are also found here. Afterwards proceed to Kandy. En-route visit a Spice Garden at Matale and see the luscious Cinnamons, Cardamoms, Pepper plants etc. 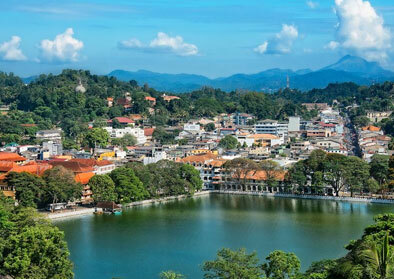 You can also purchase your requirements of spices.Afternoon city tour of Kandy, including Upper Lake Drive, Market Square, Arts & Crafts Centre, Gem Museum and Temple of the Sacred Tooth Relic. After Breakfast, leave for Yala. Visit Yala national park. YALA (RUHUNA) NATIONAL PARK - the Ruhunu National Park covers 126,786 hectares including the Strict Natural Reserve (Block Two). The most familiar is Block one (14,101 hectares) and this were established in 1938. Yala is famous for its big herds and large number of Elephants, Leopards, Spotted Deer, Sambhur, Crocodiles, Mongoose, Wild Boar, Wild Buffalo, and many other animals.More than 130 bird species are recorded which includes the resident and winter visitors. 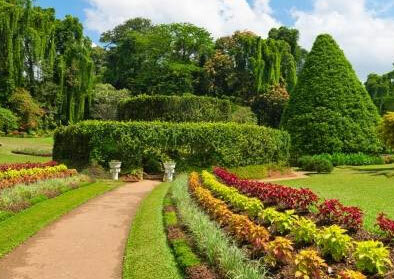 Arrange your Sri Lanka luxury holidays tour with the most experienced travel agency in Sri Lanka, Leoland Travels.